REFLECT: How does Jesus describe "greatness" in this passage? RESOLVE: Identify two ways you have pursued counterfeit "greatness" in your life. "It shall not be so among you. 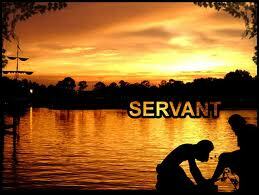 But whoever would be great among you must be your servant." Greatness, is really, to be a servant to others. I've pursued counterfeit greatness by trying to impress the eyes of the world, instead of the eyes of God.